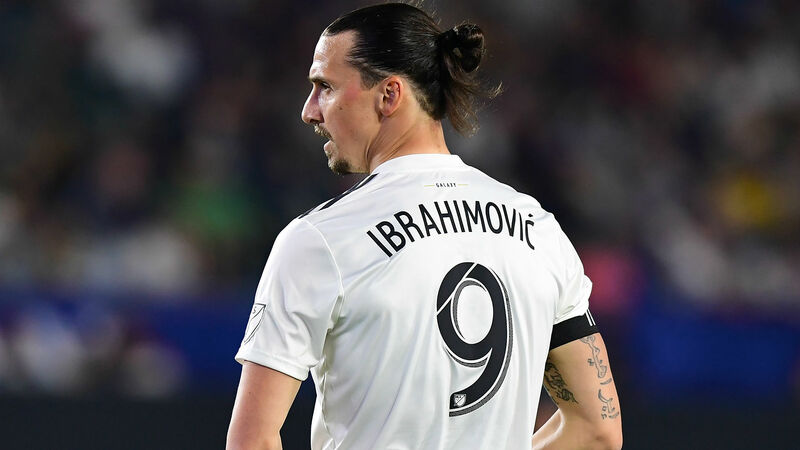 Former Manchester United striker Ibrahimovic celebrated the milestone thanks to an outrageous roundhouse finish — the 36-year-old spinning and volleying with the outside of his foot. Ibrahimovic, who scored to reduce Toronto’s lead to 3-1 before halftime, joined Juventus forward Cristiano Ronaldo and Barcelona’s Lionel Messi as the third active player to score 500 goals between club and country. The stunning goal took Ibrahimovic’s tally to 17 for the season, 11 behind MLS leader Josef Martinez. Ibrahimovic — Sweden’s all-time leading scorer with 62 goals in 116 appearances — has enjoyed an illustrious career.